The Australian Competition and Consumer Commission says that the first report from its broadband monitoring program has revealed better than expected performance from NBN services sold by Australia’s biggest telcos. However, the report also revealed that around 5 per cent of the tests run on NBN services failed to reach at least 50 per cent of households’ maximum plan speed. The ACCC said that fibre to the node (FTTN) connections that could not support the maximum plan speed paid for by households were a factor that brought down average performance overall. The report, compiled by SamKnows using the broadband connections of volunteer households, stated that the “poorer performance on services not meeting 50% of the maximum plan speed is likely being caused by limitations in the access network, rather than congestion during the busy hours and ISPs’ provisioning of their networks”. The ACCC has announced a series of court-enforceable undertakings from Vocus, iiNet, Internode, TPG, Telstra and Optus after the retail service providers (RSPs) sold FTTN and fibre to the basement (FTTB) services to customers whose lines couldn’t handle the maximum speeds they were paying for. SamKnows’ initial findings report covers the period 4 February to 5 March. During that time some 61,000 tests were run using hardware probes installed in households with NBN connections. Overall, the tests revealed that NBN services sold by iiNet, Optus, Teltra and TPG delivered 80-90 per cent of the maximum plan speeds during the peak usage period of 7-11pm. “These first test results are better than expected, and indicate the majority of internet service providers are now delivering very close to their maximum plan speeds,” ACCC chairperson Rod Sims said. “NBN Co is pleased to see the results from the ACCC broadband speed testing program reflect the initiatives we have recently implemented to improve customer experience,” an NBN spokesperson said. “The ACCC findings also confirm the majority of retail services over the NBN network are delivering maximum speeds during the busy hours,” the spokesperson said. Out of the four retail service providers named, TPG took the top spot for performance. 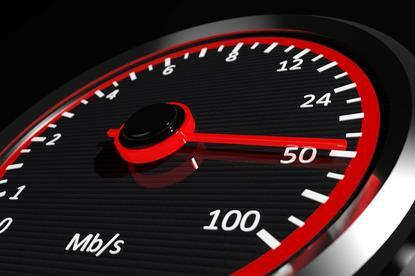 On average, the RSP delivered download speeds that were 90.7 per cent of plan maximum during the busy evening period. It was followed by its subsidiary iiNet (88.6 percent), Telstra (88.1 per cent) and Optus (80.7 per cent). During the peak usage period, NBN 100Mbps services delivered an average download speed of 87.97Mbps across all RSPs. NBN 50Mbps services had an average of 44.34Mbps, and 25Mbps services an average of 21.52Mbps. ADSL services tested as part of the program delivered an average of 7.99Mbps. Earlier this week the ACCC announced it will release more detailed quarterly reports on the state of the NBN wholesale market. However, it revealed at this stage it would not include details about how much capacity individual telcos are purchasing. In addition to download and upload speeds, SamKnows is testing a range of other metrics, including latency, jitter, packet loss, DNS performance and website load speeds. Results from those tests are yet to be released. Future reports from the program are expected to include additional information, such as a comparison between metro and regional performance.